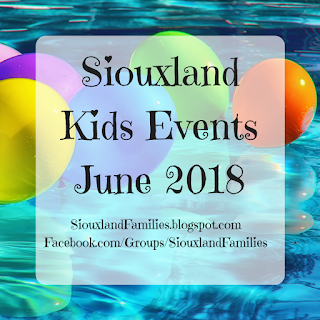 A creative new book series is charming tween readers, and Barnes & Noble at the Southern Hills Mall is having an interactive event to share the fun! 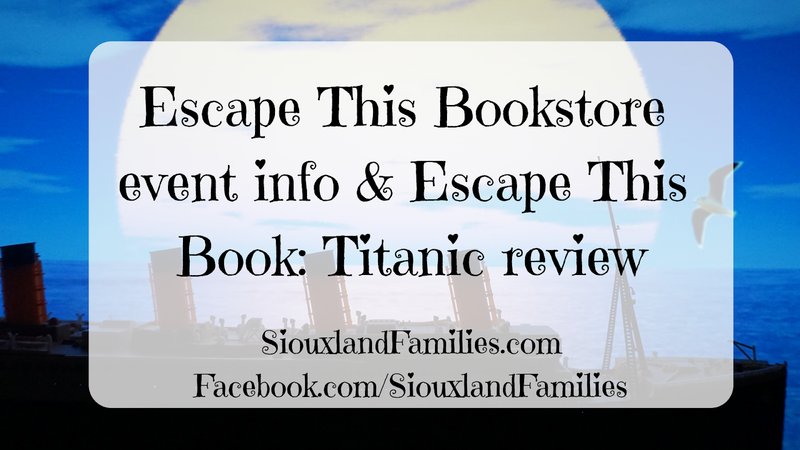 We got a free copy of Escape This Book: Titanic to review, and I'm excited to tell you about the book and about the event coming up at Barnes & Noble. Escape This Book is a new book series from Random House, and it combines the fun of historical fiction with the interactive qualities of activity books and classic choose-your-own-adventure books. Readers have to make choices along the way that can lead to surviving the journey...or epic failure. The book is also full of places for kids to draw and write. Sometimes what they draw determines which page they turn to next, and sometimes it just makes the story more fun. 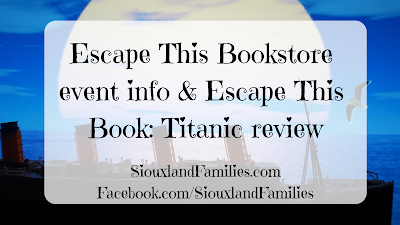 Escape This Book: Titanic is the first book in the Escape This Book series and features the sinking of the RMS Titanic. The book format has kids make choices that determine the outcome of the story, and on many pages readers have to draw, write, or tear/cut to continue the adventure! 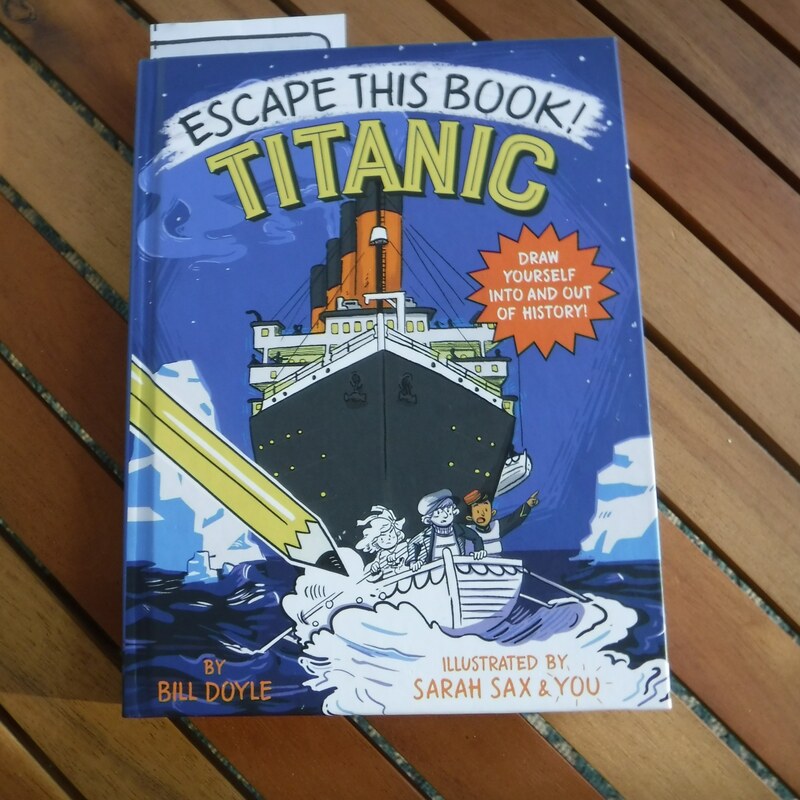 Escape This Book: Titanic was written by children's book author Bill Doyle, who is a master of capturing adventurous tales in a way that appeals to tweens and teens. You can find more about Bill Doyle on his website or Twitter feed. The book is illustrated by artist Sarah Sax. You can find more about Sarah Sax on her website or Instagram feed. 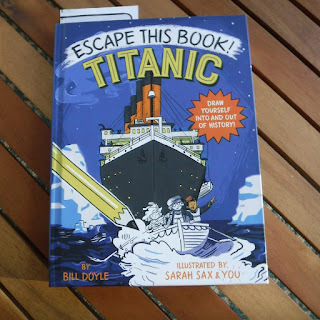 Escape This Book: Titanic is available for sale as of Tuesday, March 19th, 2019. My 9 year old absolutely loved this book. He old woke up early on Saturday morning to read and draw in it, and has already asked for "the rest of the series" and was disappointed when I explained that the rest of the series hasn't been written yet! I guess I know what to put on his Christmas list! 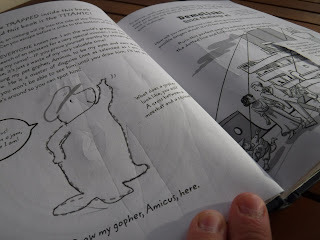 Anyway, I love that it encourages not just reading but creative thinking, problem solving, and drawing. There seemed to be 3 characters you can choose from and then multiple paths each character can take. My son was really excited to survive as all 3 characters. He thought the book would be best for 7-12 year olds; Amazon recommends it for 8-12 year olds or those at a 3rd to 7th grade reading level. I asked if he could think of any negatives or things he would change and he didn't have any. I didn't really either, except maybe that some of the tearing was delicate enough that it wouldn't take a very big mistake to tear off some of the words, so some kids may prefer to use scissors. 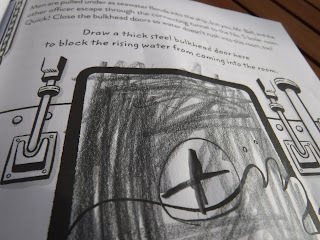 Because of the tearing and drawing, it is not going to be a book you can easily pass on to the next kid, but I feel like the price point is low enough that its a good value anyway, comparable to many high quality drawing or activity books for that age group. Overall, we think this is a really exciting and unique new book and definitely plan to buy more books from this series! Escape This Bookstore is the cute name for Barnes & Noble's event on Saturday March 23rd at 2pm celebrating the Escape This Book series. 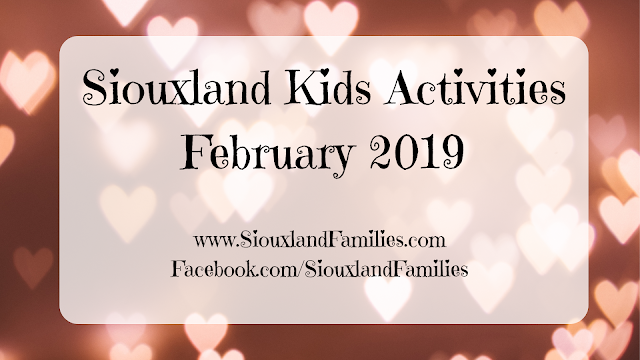 The event will introduce kids to the book and series with a variety of activities. Author Bill Doyle mentioned "free stuff" when tweeting about the upcoming Barnes & Noble event...no word on whether that means a free activity sheet or something more like a book giveaway, but whatever it is should be lots of fun! 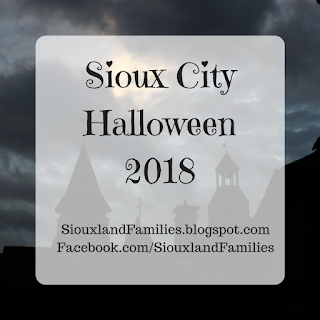 You can sign up for the event here. Amazon links are affiliate links; if you choose to buy through one, your price doesn't change but I may get a small portion of Amazon's profits.